Pretzels are a favorite snack at our house. My daughter could probably eat a whole bag of pretzels in a day and my husband I love them also, but we especially love big, soft pretzels warm from the oven. 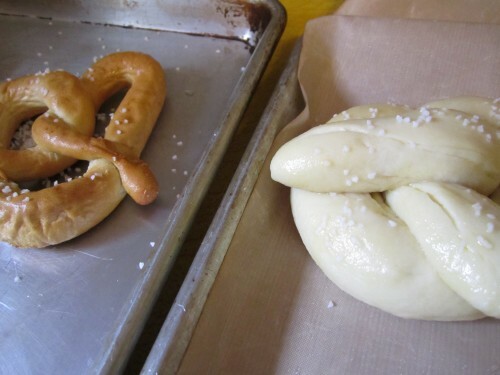 For about three years now, my husband has been searching for the perfect homemade soft pretzel recipe and we’ve tried out several different ones but when tried Alton Brown’s soft pretzel recipe we knew we’d found pretzel heaven. This recipe is so easy to make and, compared to other’s we have tried, it is also fairly quick. 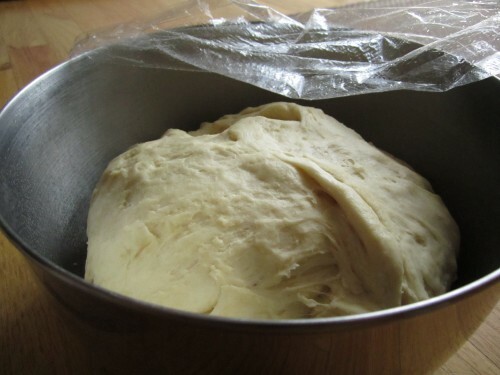 The most time consuming part is letting the dough rise for an hour, but at least that is a passive step. We have never bought frozen soft pretzels before but I have always wondered if we were wasting time making pretzels from scratch when they are available in the frozen food aisle. Superpretzel seems to be the most ubiquitous brand of frozen pretzels, so I bought a box of original Superpretzels and we compared to them a batch of Alton Brown’s homemade pretzels, dipping both in some homemade cheese sauce. Homemade pretzels take about 2 hours to make, but only half of that is active preparation since they take about an hour to rise. Frozen pretzels can be heated up in under 5 minutes in a 400 degree oven, definitely an advantage if you are serving them as a quick snack. However, the homemade pretzels were significantly less expensive, only costing about $1.40 for 8 large pretzels, while the frozen Superpretzels cost $3.75 for 6 pretzels that were much smaller. As for flavor, there was really no contest. 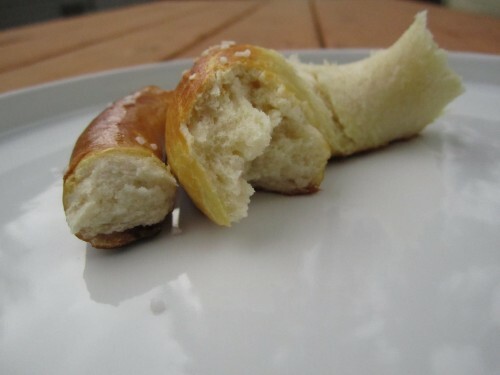 The homemade pretzels were soft in the inside with a nice, crunchy crust and had a wonderful, rich, yeasty flavor. The frozen pretzels weren’t terrible, but they had very little flavor and were rather hard with very little soft center. I think the best option is probably making a big batch of homemade pretzels and freezing any extras to be thawed out later. That way they are convenient, quick and delicious! Bottom Line: Homemade pretzels are both cheaper and tastier than the store-bought, frozen variety but they can be time consuming to make. 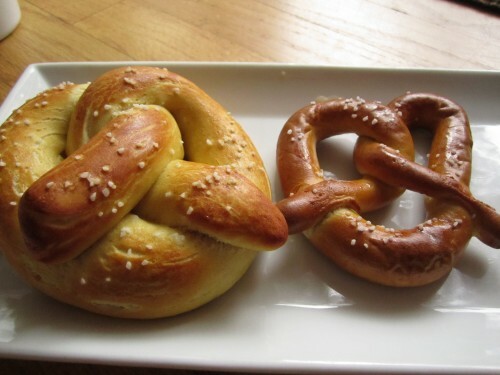 Baking a big batch of homemade pretzels and freezing some for later is probably the best compromise. Can’t wait to try these! When we were in Germany the first time I became obsessed with the fresh pretzels we could get from the pretzel vendor. 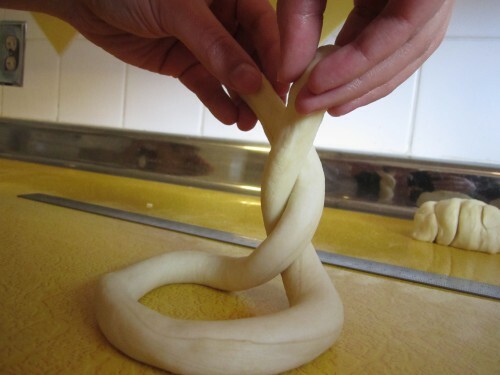 They would slice the pretzel horizontally in half, spread both halves with softened butter,top with butter kase(cheese), and a slice of ham or salami. My mouth is watering just thinking of it. We are in Madrid with your cousin right now so I will have to wait a bit to make them! It’s so funny that you would mention the pretzel sandwiches because I did the same thing with some of these pretzels yesterday! I split them in half and put cheese and turkey inside before heating them up in the oven. I had never had a pretzel sandwich before but they were delicious! So fun that we had the same thought. Ok, so could I do the dough part in the bread maker and then take it out to do the rest? (obviously, haha) I do that for every bread recipe but I’m not sure it would work with these? I’m doing them no matter what, I LOVE soft pretzels!!!! 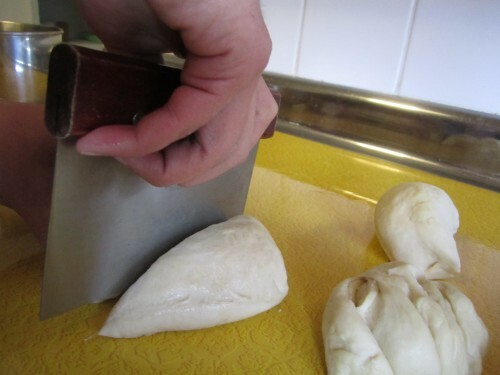 I’ve never tried pretzel dough in a bread maker, but I’m sure it would work the same as other breads. Let me know how it works if you try it! Thanks, I’m going to try it this week! I can’t wait and I’ll let you know for sure! Miss you by the way….